Businesses that employ former refugees will have easier access to multilingual first aid courses thanks to an initiative from the Pathways to Employment team. Simon, Joseph, Johnsy, and Peter have all completed a first aid course in the Chin language through Red Cross Pathways to Employment. The Absolute Energy offices in Nelson are quiet for a mid-week morning, with most of the staff out and about on jobs across the region. Evidence of the multicultural workforce is everywhere though, the most prominent being the phrase “na tho tha maw”, which is scrawled across a whiteboard in the kitchen. “Na tho tha maw” means “good morning” in the Chin language, a dialect from Myanmar, where four of the company’s insulation installers are originally from. The men arrived in New Zealand under the refugee quota programme and were hired by the managing director, Paul Brockie, after an introduction at the Richmond Football Club. Soon after employing them, the company’s health and safety officer, Petra Nugent, was booking staff on a Red Cross first aid course. “We want all our boys to be first aid trained because they’re going and working on-site, including on new builds, so it’s important for them to have first aid skills,” she says. As she was organising the course, Petra realised that the employees who have English as a second language might struggle to keep up. 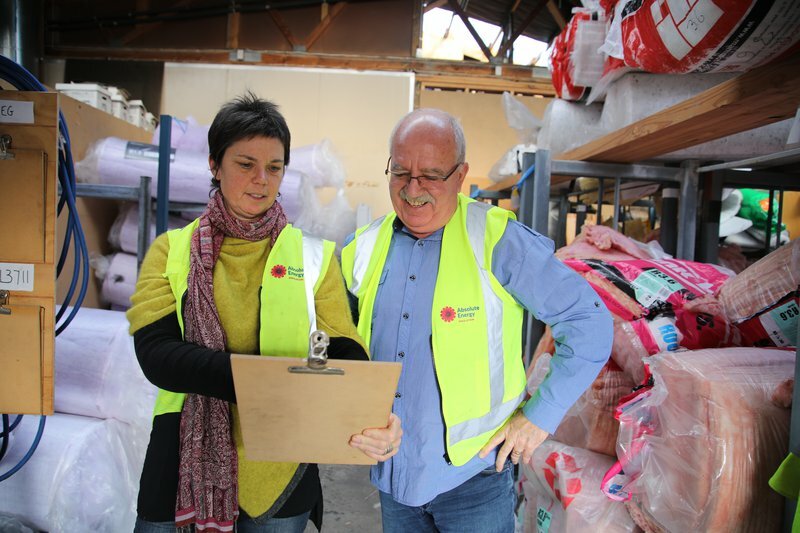 Petra approached Red Cross’ Pathways to Employment advisor in Nelson, Claire Nichols, to see if there was any way Red Cross could help. Claire saw an excellent opportunity and approached another business that employs people from a refugee background to see if they would be interested in taking part. From there, she organised a first aid course that was delivered through interpreters so the participants received the full benefits of the day. “The employers are really pleased they’ve been able to provide this to their staff; people who were fluent in English had already done the course so this was a gap that we could help fill,” says Claire. Petra and Paul from Absolute Energy approached Red Cross about providing multilingual first aid courses after seeing a gap. For businesses like Absolute Energy it has also given them peace of mind as their former refugee employees often attend jobs on their own. Knowing that they have the first aid skills to deal with emergency situations is reassuring. “They’re such good workers which means it’s so worthwhile investing in them from a business point of view,” Paul Brockie says. Claire is in the process of organising to have the course pushed out into other businesses that have engaged with the Pathways to Employment programme and have staff members with a refugee background. The businesses that have taken part so far have been more than happy with it, as have the employees. “One of the participants even got his certificate laminated, which really shows the value people place on it,” says Claire. Delivering the first aid course through interpreters has the added bonus of strengthening the community. “The people who are taking these courses are also mums and dads and members of the community, so can use those skills in that context too,” says Claire. If you’d like to book a first aid course you can find out more information here. If you’re an employer who has hired staff from refugee backgrounds and would like to know more about first aid opportunities through interpreters, contact your local Pathways to Employment team here.